On our way to Big Sur last fall, we stopped at Pinnacles National Park, a relatively small, quick-to-visit park located between San Jose and L.A. Pinnacles National Park used to be a National Monument and was “upgraded” as a National Park under Obama in 2012, which makes it the youngest National Park in the U.S. It’s very good news because it protects it much better against presidential moves. Indeed, National Monuments can be undone very (too) easily, whereas National Parks benefit from an extra-shield (Congress). The park is popular in the climbing community and is an awesome place to practice bouldering. It’s also one of the only parks we’ve visited where you can hike underground freely. You’ll need a flashlight! There are two underground trails at Pinnacles and many outside trails with views on the pinnacles. Huge boulders populate the landscape too. 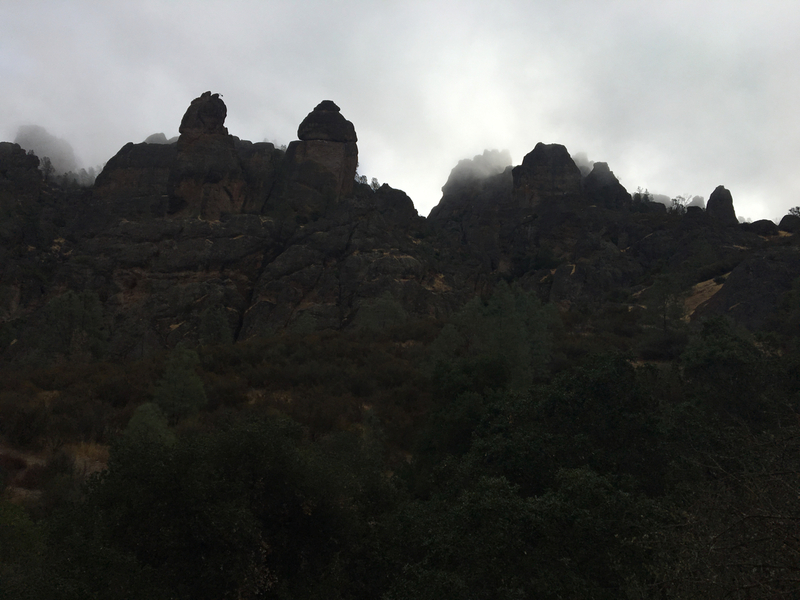 The Pinnacles campground is really awesome and the park was an excellent place for day hikes that kept us busy for a couple days. One thing to note is that this park is still a bit off-the-radar, despite being located near the SF Bay. So it’s almost completely empty during weekdays (love it or hate it, I personally loved it).